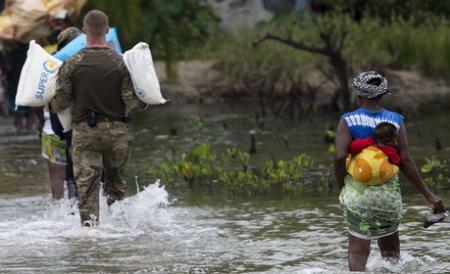 The UK military ship Argus leaves Sierra Leone after a successful mission. Sunday March 29, 2015 - UK military hospital ship ends mission in Sierra Leone. Royal Fleet Auxiliary ship RFA Argus is awarded rare honour, an Admiralty Board Letter of Commendation for Ebola mission. Reports say this is the first time this award has been granted to an operational unit. The Royal Navy hospital ship the RFA Argus set sail from the shores of Sierra Leone on Friday 27th March 2015 having completed its vital mission to Sierra Leone in the fight against the Ebola Virus Disease, a scourge which has claimed more than ten thousand lives in Sierra Leone, Liberia and Guinea with Sierra Leone. 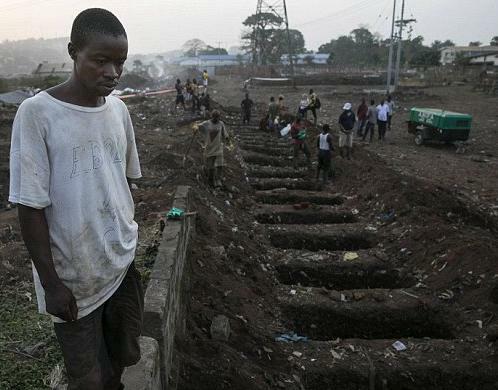 Over three thousand of those who perished were Sierra Leoneans in their own God-given country. "Royal Fleet Auxiliary ship RFA Argus, which carried servicemen and women from Portsmouth, is heading back to the UK after deploying to Sierra Leone in September to provide air and medical support efforts against the killer disease. In recognition of her efforts and deployments spanning back to 1982, defence secretary Michael Fallon has now awarded Argus an Admiralty Board Letter of Commendation. It is believed to be the first time this award has been granted to an operational unit. The last similar award was made in 1939 to the family of Captain Edward Kennedy, who was killed when his ship HMS Rawalpindi was sunk following action against the German battleships Scharnhorst and Gneisenau. Mr Fallon said: "During her deployment to Sierra Leone, Argus has made a significant contribution to the UK’s effort to halt the spread of Ebola. Captain David Buck in charge of operations is quoted as saying that he was extremely proud of everything that Argus and her people have contributed to the mission in Sierra Leone over the past six months. "The Argus has helped to establish the crucial medical treatment centres and has provided vital transport capability allowing medical workers to reach the areas most affected by the disease and by providing medical reassurance to the British personnel deployed to the region." "The award of the Admiralty Board Commendation for Argus’ lifetime contribution to defence is a huge honour that I am privileged to accept on behalf of all of those who have served in her over the course of 33 years service." 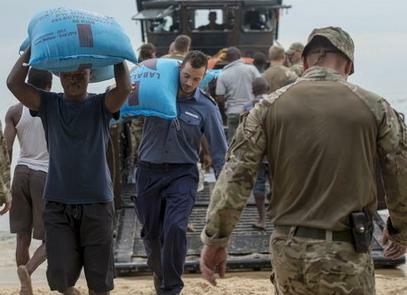 "RFA Argus has been an essential part of Britain’s response to Ebola in Sierra Leone. "Today it leaves a country which is getting to grips with this crisis. The number of new weekly Ebola cases has dropped from nearly 500 in November to just 33 this week. But our job is far from finished. One single case left unchecked is enough to cause a resurgence in the disease. Britain will continue to stand alongside the people of Sierra Leone as they fight to bring the number of cases down to zero." The Plymouth Herald has this reminder when the ship first set sail for Sierra Leone - "A ship on a mission of mercy to Ebola stricken Africa is already making a difference in the fight against the deadly disease, her Cornish-based captain has said. RFA Argus sailed from Falmouth last month with a crew drawn from a number of units in Devon and Cornwall. She is now stationed off the coast Sierra Leone and within minutes of her arrival crew members had unloaded crucial stores and 32 off road vehicles, supplied by the Department for International Development (DfID), which are now being used by the Government of Sierra Leone and international charities across the West African country. Her three embarked helicopters, from RNAS Culdrose, near Helston, quickly clocked up more than 50 flying hours on the mission known as Operation Gritrock. Meanwhile Royal Marines from Plymouth-based 42 Commando and 539 Assault Squadron Royal Marines have been travelling the densely forested coastline in their landing craft gathering information from local people and identifying potential beach landing sites. 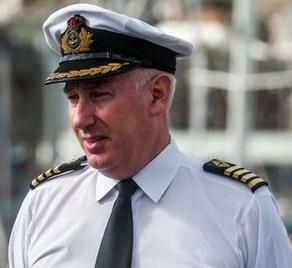 Captain David Eagles, Commanding Officer of RFA Argus, who lives in Hatt, Cornwall, said they were making a difference. “The UK has made clear its commitment to fighting and containing Ebola and the deployment of Argus is just one element in this campaign. “Our primary role is to deliver transportation and logistical support for the medical teams and experts working in Sierra Leone – a role we began upon arrival. “Embarked in Argus are men and women drawn from across the Armed Forces, many of whom are experts in their field. “All have undergone stringent counter Ebola training and after just one week we are already seeing the benefits of deploying such a capable vessel and crew.” RFA Argus arrived on 30 October carrying nearly 400 personnel, including 80 members of 820 Naval Air Squadron (NAS), based at Culdrose. 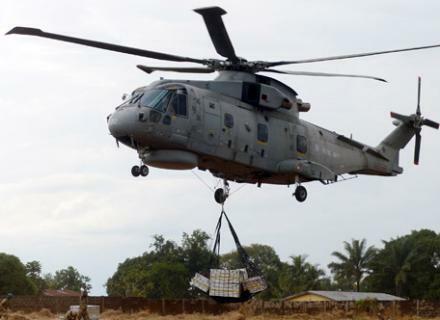 Since arriving they have been tasked across Sierra Leone, carrying out reconnaissance of potential landing sites, transporting UK military personnel and training with the Sierra Leonean Army. 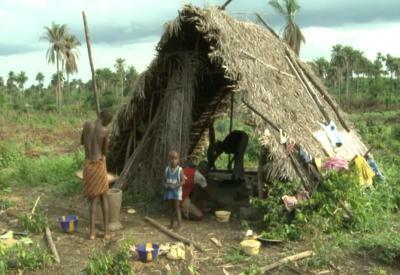 “We conducted daily flight training on the way to Sierra Leone and arrived ready for operations. “We have so far carried out tasking, transporting stores and UK military personnel to remote locations as well as training ambulance personnel to load stretchers into the Merlin’s. RFA Argus has state-of-art medical facilities on board which will be used to treat all non-Ebola related conditions, which it is planned will take the strain off special clinics to treat the disease onshore. Anyone who has contact with the disease will be monitored and if they report symptoms such as a raised temperature, will be taken for treatment at the clinics on dry land. RFA Argus has sufficient stores onboard to remain at sea for several months and is also able to produce her own fresh water."